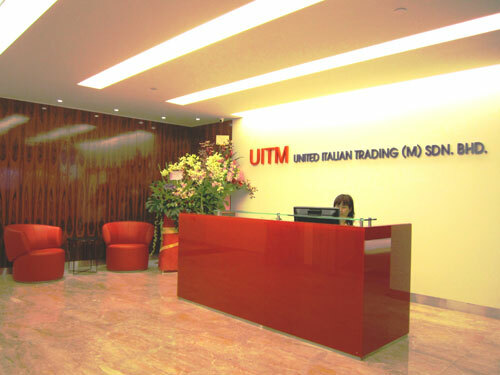 United Italian Trading (M) Sdn Bhd (UITM) is an established player in the local healthcare industry, representing more than 20 partners from North America, Europe, Oceania and East Asia. Incorporated since 1969, our headquarters is located in the heart of Petaling Jaya, Selangor. We also have presence in urban centres in the northern and southern regions of West Malaysia as well as East Malaysia. Our product portfolio includes medical equipments and diagnostics, pharmaceuticals; be it prescription or non-prescription and over-the-counter health and beauty products. Medical professionals in hospitals, clinics and pharmacies have used our products in a diverse range of therapeutic areas – haematology, urology, neurology, gastroenterology, obstetrics and gynaecology, uro-gynaecology, total parenteral nutrition, rheumatology, orthopaedics, endocrinology and oncology. Working with our philosophy to continually improve and grow, to reach beyond our customer’s expectations and be perceived as your partner in healthcare, we believe we will be able to meet your present and future healthcare needs. © 2012 United Italian Trading (M) Sdn Bhd. All rights reserved.